Edible Gardens LA founder Lauri Kranz shares her secrets for planning, planting, growing, and maintaining luscious edible gardens, no matter the setting or size of the plot. 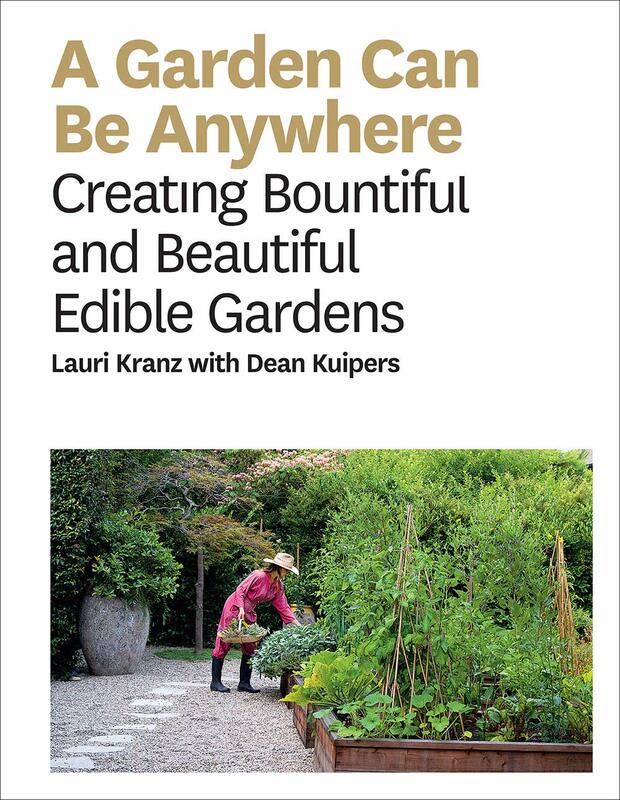 Through gorgeous gardens created for her well-known clientele, including James Beard award–winning chefs, celebrities, rock stars, and more, Lauri shares her essential methods for growing abundant organic food. This practical guide is built around Lauri’s philosophy that nourishment and beauty are not separate goals. It’s also at the forefront of a gardening revolution, where more and more people are craving a patch of land for growing and the trend is toward edible gardens over ornamental gardens. A Garden Can Be Anywhere reveals Lauri’s knack for providing both beauty and bounty in her clients’ outdoor spaces. Lauri Kranz is a professional garden designer and the founder of Edible Gardens LA (ediblegardensla.com). She has thousands of newsletter subscribers, her daily posts on Instagram reach 7000+, and her Tumbler has 20,000+ followers.